Lawrence Livermore National Laboratory (LLNL) has a long history of leadership in large-scale computing. Our newest platform, Sierra, a heterogeneous system that is part of a Collaboration between Oak Ridge, Argonne and Lawrence Livermore National Laboratories (CORAL) and delivered through a partnership with IBM, NVIDIA and Mellanox, continues that tradition. This talk will provide a detailed look at the design of Sierra, which is currently number two on the Top500 (the 500 most powerful supercomputers in the world), as well as early application and benchmark results on it. This talk will also discuss the new features in OpenMP 5.0 that are most expected to impact Sierra's use. Finally, I will explore how our experiences with Sierra are shaping supercomputer El Capitan, which will be procured through the CORAL2 RFP to replace Sierra in 2023. As Chief Technology Officer (CTO) for Livermore Computing (LC) at Lawrence Livermore National Laboratory (LLNL), Professor Bronis R. de Supinski formulates LLNL's large-scale computing strategy and oversees its implementation. He frequently interacts with supercomputing leaders and oversees many collaborations with industry and academia. Previously, Bronis led several research projects in LLNL's Center for Applied Scientific Computing. He actively continues to engage in research, particularly in parallel programming models, and serves as the Chair of the OpenMP Language Committee. 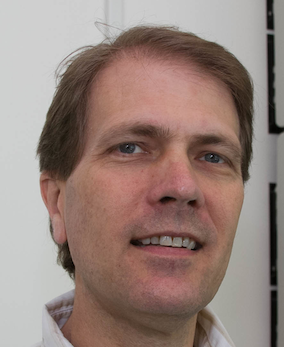 In addition to his work with LLNL, Bronis is a Professor of Exascale Computing at Queen's University of Belfast and an Adjunct Associate Professor in the Department of Computer Science and Engineering at Texas A&M University. Throughout his career, Bronis has won several awards, including the prestigious Gordon Bell Prize in 2005 and 2006, as well as an R&D 100 for his leadership in the development of a novel scalable debugging tool. He earned his PhD in Computer Science from the University of Virginia in 1998, and he joined LLNL in July 1998.